Highly modern yet striking, you will be left in awe decorating your wrists with these stunning Snake Chain Bracelet with Zirconia . Swathe in the glory of charm bracelets and let this glamorous yet dainty bracelet bring accenting finish to your look. 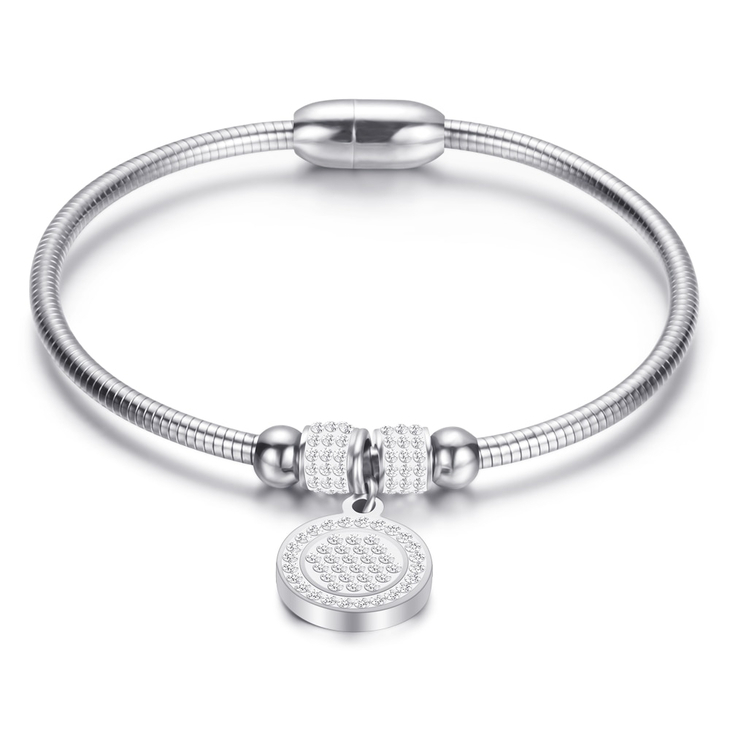 Studded with cubic zirconia, the silver or 24K gold plating bracelet features a round charm that swing beautifully on the exquisite design. Perfect to be stacked or adorned as a standalone piece.